Looking for Metro Detroit garage door repair? Taylor Door Co. offers the best garage door repair in Metro Detroit, Michigan. We strive to give our customers the best garage door products, service and prices in Metro Detroit. We are a member of the International Door Association and have been in service for more than 30 years. At Taylor Door Co. we can help you with your garage door repair in Metro Detroit no matter what the issue may be! For more information on garage door repairs in Detroit call 586-755-6500. 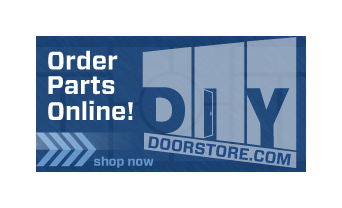 When it comes to garage door repair in Detroit Metro, contact Taylor Door Co. today! Why Choose Taylor Door Co. for Your Garage Door Repair Metro Detroit? Our team at Taylor Door Co. is knowledgeable and quick, so we will have your garage door repaired in Metro Detroit in no time! At Taylor Door Co., we provide everything you need for your Metro Detroit garage door repair to go smoothly. We provide all the parts, repairs and installation. 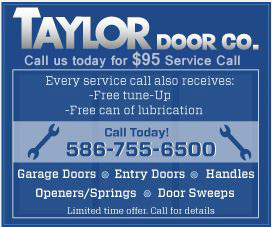 Check out the other services that we offer at Taylor Door Co. If you call before 11 a.m. we also offer same day garage door repair service! Call today for your free quote on your garage door repair in Metro Detroit, 586-755-6500.